We are a company carrying out carpet strip-outs in Sydney. If you are in need of carpet strip-outs on your property, be it in commercial offices, or perhaps a hotel or guest house, we can take care of removing all carpets, and disposing of them too. Allow us to take care of stripping out all the carpets in your building, leaving clean and tidy floors, ready to be prepared for the new flooring you plan to install. We not only strip-out all old carpets, but we dispose of them too. 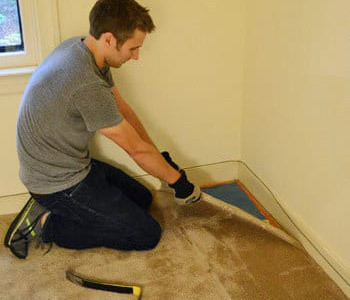 As well as businesses, and commercial properties, we often carry out carpet strip-outs in Sydney for private homes, where the homeowner is in need of old carpets being removed and disposed of. We come with an excellent reputation for being fast and efficient, as well as punctual and reliable. We are professionals when it comes to removing the carpets, and so know the most effective way to work, saving time and money all round. We are a professional rubbish removal company with many years of experience in the industry, and in this time we have built an excellent reputation for our rubbish clearance and carpet strip-out services, as well as our customer service. We get a lot of our jobs from repeat happy customers, and personal recommendations. You can also rest assured that all the carpets we remove from any buildings will be legally disposed of – we hold all the necessary licences that adhere to district regulations for rubbish disposal. Get us to do your carpet strip-outs, and we will not only remove them, but take them away too. If you are in Sydney, and looking for carpet removal and disposal, be sure to get in touch with our customer service team. We are more than happy to answer any questions you may have, as well as provide you with a competitive quote. 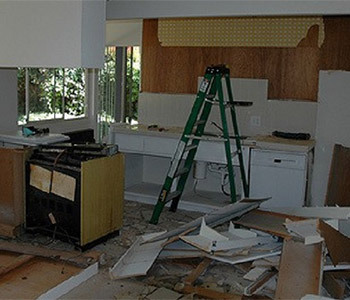 Kitchen strip-outs in Sydney are just one of our many professional junk removal services that we provide across Sydney. We strip-out kitchens, and then dispose of all the rubbish that is taken out, leaving you with just an empty space as per your request. If you are looking for kitchen strip-out services in Sydney, be sure to get in touch with our professional team. If you have chosen to have a whole new kitchen installed, then by hiring us to remove and dispose of the old one can save you a lot of effort. We will professionally strip-out your old kitchen, leaving you with the space, ready for your kitchen fitters to install your new one. Perhaps you are undertaking a renovation project, and you just need the kitchen stripping out, or perhaps you plan to use the space for another purpose, or to demolish it altogether. Either way, we are the people to call. Because of our wealth of experience in kitchen removal, we are able to carry out this job effortlessly, and safely, being mindful of power supplies. We also have the experience to carry out this job at speed, and so it will be done for you when we say it will be done. After stripping out the kitchen, we will load up our specialist vehicles with the rubbish and remove it all from your premises. We will then dispose of it under the correct district regulations for waste disposal. Whether you are a company, a commercial outfit, or a homeowner, be sure to get in touch with us for all your Sydney kitchen strip-out needs. Get in touch with us by phone or email, and our friendly customer service staff will be able to advise you on a price and a time that is suitable for us to strip out your kitchen. We always aim to work within the customers specified deadlines, and hold customer satisfaction as paramount.